If you've been following our 100 years of cars features, you might have noticed that since 1917 most of the cars have been American. That's just the way it was before World War II -- you didn't buy American to be patriotic (or cheap) but simply because foreign cars were few and far between. Sure, if you were a Rockefeller, you could go import a Bugatti, but for the average Joe, you simply had to choose your favorite land yacht between Ford, Chevy, or Chrysler...but then something happened. Joe visited a far away land where cars didn't understeer like snow plow in the turns and they were fun to drive. 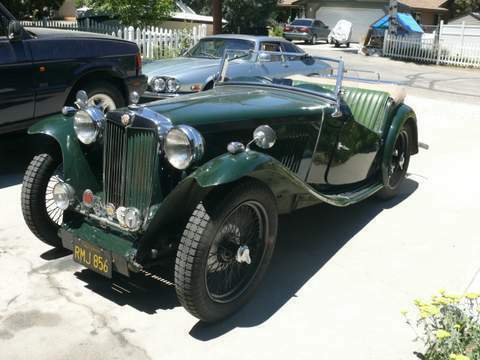 Find this 1949 MG TC here on eBay bidding for $12,300 reserve-not-met with 4 days to go, located in Big Bear, CA. This post is part of DT's 2016 Birthday Celebration of 100 cars; enjoy the ride! 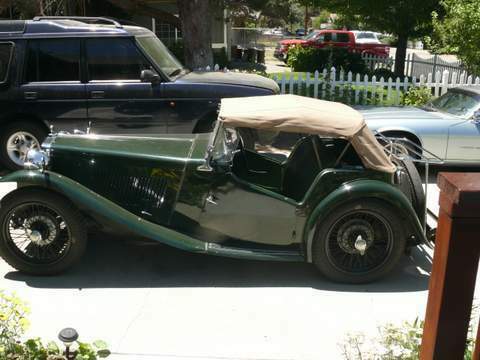 The MG TA/TB/TC/TD/TF was the gateway drug to European Sports cars -- but don't confuse the label of sports car with being modern or advanced...because the TC was anything but advanced. Regardless, the 76 cubic inch pushrod 4-banger puts out 54.5 horsepower and it offered a feeling of speed that was unmatched by most domestic product of the same era.